These pictures show why our domesticated cat belongs to the tiger family or rather, why the tiger is a big cat! 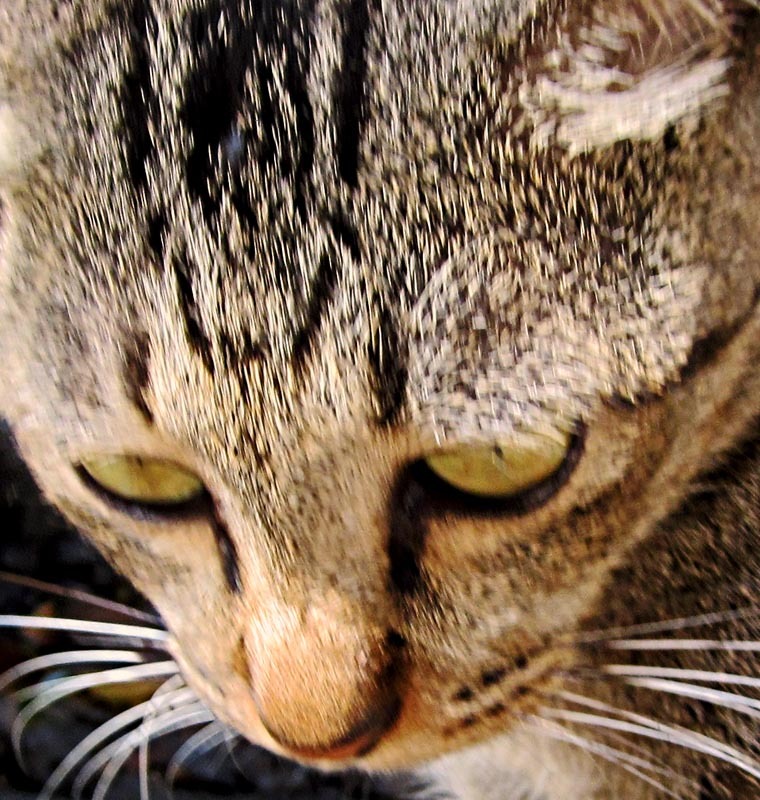 These are close-ups of cat faces and expressions. I have selected the expressions which closely imitate that of the tiger and the lion or their cubs! Nothing more scary that to see a lioness...er...a cat yawning. Definitely scary for a mouse! 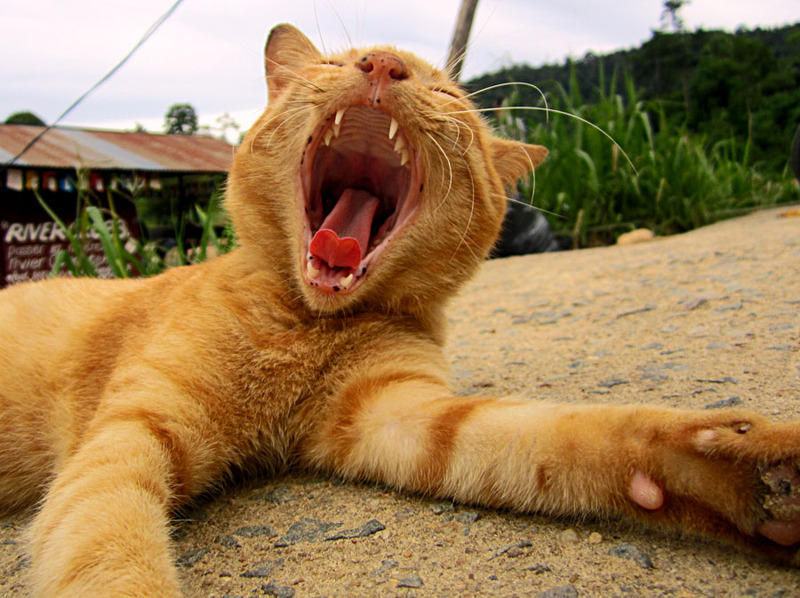 This cat appears to be yawning quite violently! Cat sticking out its tongue! 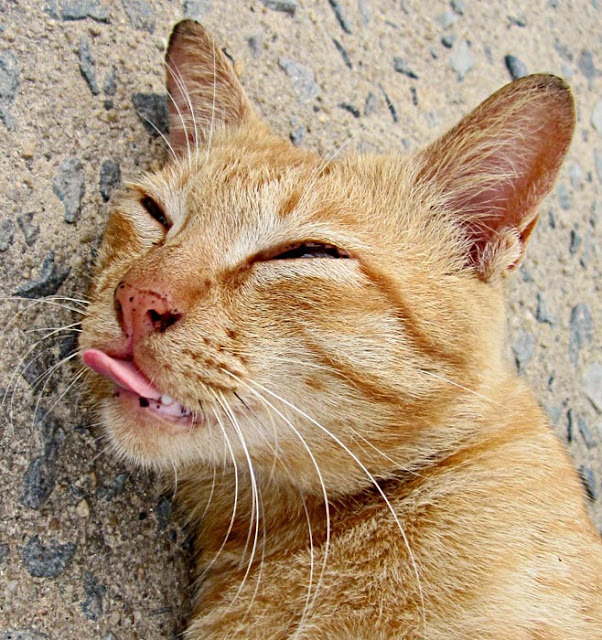 A cat's tongue is very rough and sticky. This cat's expression is one deliberate enjoyment of something only she or he knows about. Something almost evil about the expression. 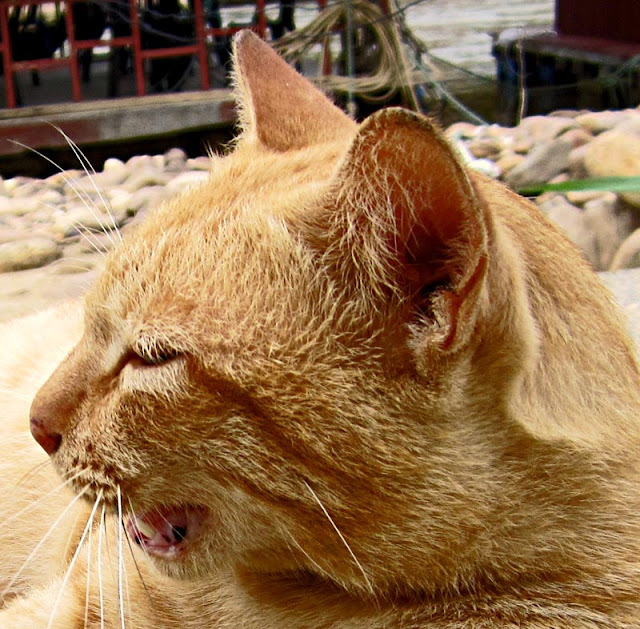 A growling cat. Irritation is evident in the cat's face. A cat staring at you with it's yellow eye! A cat's eye can be unfathomable. 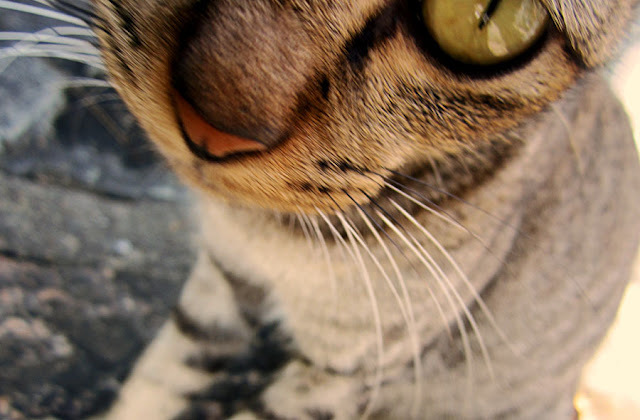 Maybe this cat is trying to figure out what the camera is all about. This feline is looking at something quite intently, possibly an insect.